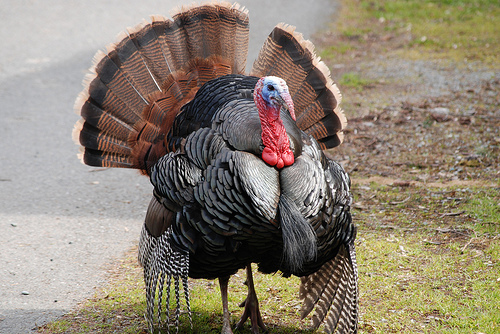 Today is Cyber Monday, the traditional online shopping day after Thanksgiving. If you're hitting online shopping merchants today then don't forget to visit Ebates as well to add to your savings. Did you know that Uncle Sam will help you buy a Mercedes? Its true. But it has to be a certain diesel model. There are federal tax credits for lean burn diesel cars. If you prefer you could also go for a BMW or an Audi with government subsidies. I guess if you want to slum it you could buy a VW. Turns out that most of the diesel's on the road in the US are from European car makers. Diesel has been more popular in Europe than the US so theres more diesels offered by the European manufacturers. The point of the incentive is to help put more fuel efficient cars on the road and these diesel models are have significantly higher MPG than the equivalent gasoline engine versions. Its really no different than the tax credits available to hybrid cars. (You can get a tax credit for a hybrid Mercedes too). 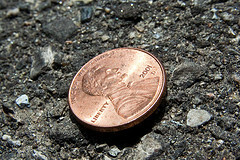 Unfortunately thats all the money you can get from the federal treasury. You'll have to find the other $50,000 - $60,000 on your own. If you don't have $50,000 lying around you could always go for a VW Golf TDI which qualifies for $850 credit and has a sticker price of $22,810. The VW Golf TDI gets 30 MPG city / 41 MPG highway. Photo by Stradablog. 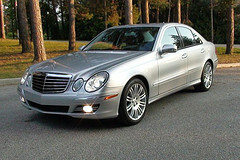 It is 2007 E350 non-diesel which does not qualify for a tax credit shown for illustration purposes. Get Rich Slowly tells us about The Economics of Seinfeld which is a site that uses the show Seinfeld to discuss principles of economics. Free Money Finance discusses How to Retire at 50 which is right up my alley. Full details of the deal are at Amazon.com. The $3 is good for MP3 downloads only and has to be used by Nov 29th. Mr and Mrs Anderson have an income of $45,000 and retirement savings of $145,000. He is a teacher and she has been a stay at home mom and does not currently work. Mr Anderson has a pension coming from his job as a teacher that should get him 60% of his current pay or $27,000 a year. His Social security should come out to about $1,250 a month or $15,000 a year. Should they put $5000 into a Roth IRA or $5883 into a Traditional IRA? Lets say they retire next year. They will be able to pull money out of that Roth IRA tax free. Their effective tax rate is 15%. Only $1,250 of their social security will be taxable. That gives them at taxable income of $1,250 plus $27,000 between the social security and pension for a total taxable of $28,250. Currently that would put them in the 10% tax bracket and their tax on that amount would be just $955. If they had the $145,000 of original retirement savings plus another $5,883 from the most recent traditional IRA contribution then that would give them a total of $150,883 in retirement savings. If they withdraw 4% of that in retirement per year then that wold be another $6,035 of IRA/401k withdrawals. The additional income would make more of their social security taxable so now $4268 of that would be subject to tax. This would make their total taxable income $4268 of social security + $27000 pension income + $6,035 in IRA withdrawals for total taxable income of $37,303. Their tax bill would be $1,953 and they'd be in the 15% marginal tax bracket. Summary: The Andersons have current income of $45,000 and savings of $145,000. If they put $5000 into a Roth IRA they'd pay 15% tax rate on it today and be left with $5000 tax free. If they put $5883 into a traditional IRA and then pulled it out at a 4% rate they'd pay 15% marginal taxes after retirement and be left with $5000 after taxes. In this case its a wash, they pay 15% today or 15% tomorrow. The government has a large stake in the company. 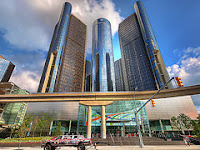 GM has very strong overseas markets and is one of the most popular brands in China. They'll hit 2M sales in China this year and Oct. sales were up 19%. Should be profitable: If US industry sales hit 10.5 million cars then GM is expected to to break even and sales this year are expected to hit 11.5M. Sales could easily climb back up to pre-recession levels of 15M. Exited bankruptcy with stronger balance sheet and cost structure. Already bailed out by the government. Strong, well ran companies don't need government bailouts and subsidies. Cyclical nature of the auto industry. High competition from a number of auto makers. I'm not convinced they've turned around the culture within the company that lead to the previous failures. I do not make investment recommendations so I'm not going to tell you if buying GM is a good idea or not. Personally if I were to buy GM it would probably be as a short term speculative purchase (in other words "gambling"). And if I did buy any GM stock I wouldn't put much money into it. The Wall Street Journal put out an article titled 'More Get $1 Million to Lead College' which I read via Yahoo. It talks about University presidents making $1 million salaries. I would bet that many people will read this and then conclude something along the lines of "fat cat salaries of university presidents are causing tuition to go up". But that is really not the case. You have to realize that even if a university president is making a $1M figure salary that this is not a large amount compared to the total costs of running a typical university. That is an average of 4,067 students per university. The WSJ got their information from a study from The Chronicle of Higher Education. If you look at the chart posted by the The Chronicle of Higher Education in their article on the topic you can see that most presidents have compensation in the range of $200,000 to $600,000. 50% make under $400,000 and 50% make more. $98.35 is a relatively small portion of the money that is spent per student and also very low relative to average tuition bills. That accounts for 1% or less of the tuition bill at most public schools. 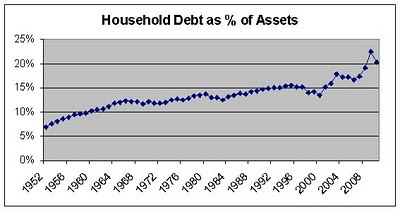 Obviously this 1% does not account for the annual 7-8% inflation in college costs over the past couple decades. Bottom Line: University president salaries are not a large contributor to the costs of college. The 'GoldBox' deal at Amazon right now has the set of Star Trek movies for 61% off. At Buy.com the sets are $45.82 and $72.77 for the DVD and Blu-Ray respectively. You might be wondering why I think this is noteworthy. Well I like Star Trek. If you're not a Star Trek fan then this might make a good gift for someone you know who is. Don't be surprised if I pass along any good sales I see on Star Wars films in the future as well. Last week I took a first look at the "Downsized" program on WE television network. The show follows the Bruce family. The family has gone through recent foreclosure and losing a lucrative contracting business. Its typical reality TV so its more about drama than actual reality. I watched the 2nd episode this past weekend as well. Heres some notes and my impression from the second show. They spent the first half of the show mostly shopping for a new rental house. Right now they are paying $1695 for their house which is almost 3000 sq. ft. That is a big house but they do have 7 kids for a total of 9 people. All the same, they can't seem to afford their rent so they made the right decision to look for something cheaper. They showed a few houses that they looked at. One was $1300 a month and about 2100 sq. ft, but deemed too small for the family. Another house was $1200 and the right size, but the Bruce's decided too look around. Unfortunately by the time they decided to go with the house it had been rented to someone else. They looked at one other house that was about $1000 a month but 45 minutes from Anthem where Laura works and it too was small. Another problem with moving rental houses would be that they would have to come up with a deposit and possibly 1st and last months rent. The exact amounts varied but in any case they'd have to come up with a sizable amount of cash up front which they don't really have. In the end they seemed to have decided to stay where they were. Frankly the family seemed a little picky about the houses. I heard "too small" a lot. Yes the homes in question were not large for a family of 9 but you are broke. This is life. The 16 year old daughter works as a waitress. She makes about $250 per paycheck. Two of the boys also work in a concession stand for a community baseball park. One boy said they get $20 for 4 hours work, which doesn't make too much sense to me since its under minimum wage. So at least 3 of the 6 teenage kids do have some form of work. It sounded like the money was supposed to be used by the kids for their own needs and wants. They revealed that the wife Laura has multiple sclerosis (M.S.). Not a lot to say about that. She did say that she is currently healthy. Laura does have a Mercedes as I thought. However its 15 years old and it was a gift from her father. The financial planner they talked to at the end of the show referred to it being worth about $1500. 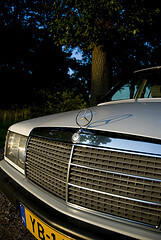 I looked up Mercedes cars from 1995 on Edmunds and a '95 C-class is worth roughly $1700 if sold by a private individual. Skimming the local Craigslist and Autotrader here it seems more like 90's Mercedes sell for $3000 to $5000 unless they have damage or are in need of repair. She also has some emotional attachment to it because it belonged to her mother. In any case the car is older and not worth a lot. So its not quite "life styles of the rich and famous" and actually closer to driving a beater (not exactly a beater but closer). 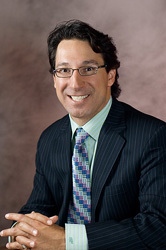 At the end of the program Todd and Laura met with a financial planner named Dean Wegner. From his website it seems more like Dean is a mortgage broker by trade but it does say he's a certified consumer credit counselor. Dean gave the Bruce's pretty good advice and guidance in my opinion. He talked to them about their budget and gave some recommendations. They definitely need someone to talk some sense into them about their budget and spending. They said that Todd currently makes about $2000 a month gross but he's not setting aside money for taxes (no surprise). Dean encouraged Todd to get more work. (seems little easier said than done) Laura makes about $40,000 a year at work as a teacher, I think she said it was $39,300 specifically if I recall right. Combined the financial adviser said they have $4700 income per month which I'd assume is after taxes. Side note: Laura again took an opportunity to whine about her teacher salary which she called "pitiful" in the first episode. This time she said that she was getting paid less than they got in 1970. (I think she said 1970, but she might have said in the 70's.) That might be true if you adjusted the wages for inflation. According to this old Dept. of Education report, teachers in 1970-1971 had a salary range of around $7000 to $11,000. That $7000 starting salary is worth about $39,400 in todays dollars if you adjust to inflation. They are spending $6550 a month. Yes thats right. They are spending about $1850 more each month than they are bringing in. I don't know where that extra money is coming from. They did say that they borrowed $3000 from their kids. Sigh. So this broke family who declared bankruptcy a year ago, who gets food stamps and can't pay their rent is spending $500 a month eating out and $145 a month on cheerleading for a 10 year old. They also talked about Laura buying expensive coffee. They didn't go into details of what kind of coffee she bought or where and they didn't say how much she spent. Laura explained that it helped her with getting tired from her M.S. OK so thats reasonable we all like caffeine but maybe she could cut back on that spending going with cheaper brands. They also discussed cutting their Internet bill and their cell phone bill but they didn't say how much they were currently spending on those. We know they spend $1700 a month on rent and the other items mentioned specifically add up to around $900 a month. That still leaves around $3900 a month of spending unaccounted for. I don't know if selling the cars would really help much given the value of the Mercedes. The van looks expensive so they could probably trade that in for something cheaper but they still need a large vehicle for their large family. They looked at downgrading but didn't do it. I think they should still look more and keep that as a goal. Some of the kids do work which is fine. I do think right now that their primary objective should be to cut their spending. It is crazy to spend $500 eating out and $145 a month on cheerleading if you can't pay your rent. They really need to get realistic on their spending and cut out the "want" items so they can pay rent and feed themselves. We don't even know what $4000 of their spending is going towards. There are probably many other spots they could cut spending. The Fed has data on household finances dating back at least to the 1950's. 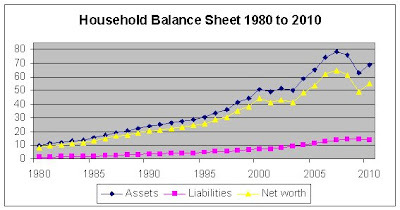 They track the balance sheets of households and non-profit organizations. 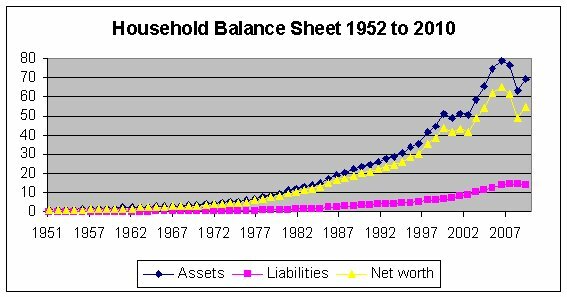 The latest balance sheet shows that assets are about $67.4 trillion, liabilities are $13.9 T giving us a net worth of $53.5 T.
Lets look at household balance sheet over history. 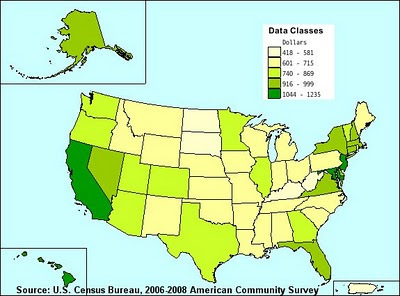 Keep in mind that this data is the total sum of all money held by American households and non-profit organizations. 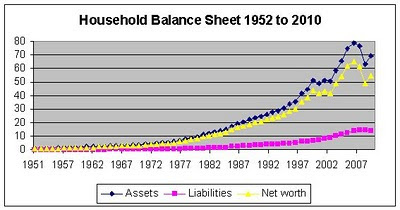 This is not a good reflection of typical American households finances. 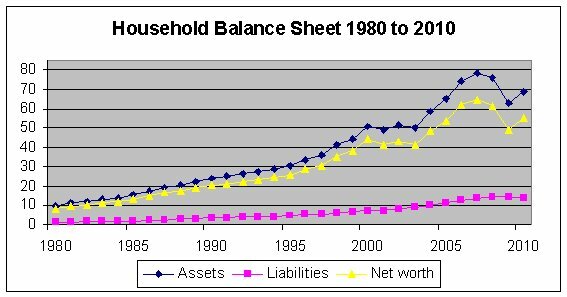 THe data does include all the assets and liabilities so all of the real estate we own and our mortgages plus things like the pension funds held by non profits and other things that aren't really part of typical households. 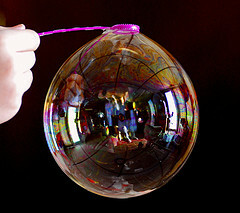 Pop Economics asks How good are you at estimating risk? Bad Money Advice talks about currency trading and questions Forex for Everybody? Doughroller tells us What is Tax Form 1040 Schedule H? This past summer I stared a little experiment to test out the Topsy Turvey product. I gave an update and another update. I then got preoccupied and didn't write further. I figured I should follow up and post a conclusion. I'm sure you've been waiting on the edge of your seat. We bought a Topsy Turvey mostly on a whim and then planted a tomato plant in it. We spent money on potting soil, the plant, the Topsy Turvey and some fertilizer. It was easy to setup and maintain. We did get some nice tomatoes out of it. However our first tomato ripened and we didn't pick it in time before it started to spoil. Then the weather turned cold. We didn't actually get a harvest off the plant. However it did have at least a couple edible tomatoes. We started too late in the season and then didn't harvest on time. That was our mistake. Its hard to judge the Topsy Turvey based on our experience since we planted too late. I don't know if we'd have had a more bountiful harvest if we'd started earlier but I assume so. We did get a couple tomatoes that we could have harvested but failed to harvest. So there was some success. Overall I think the Topsy Turvey worked fine. But as I said the results of the experiment are inconclusive since we started too late and failed to harvest. 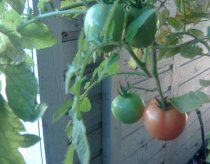 Most of the purpose of growing our tomatoes was to have fun and try to grow our own vegetables. Week 5-8 : Time spent 3-6 minutes. Total cost $22, Total time 1-2 hr.